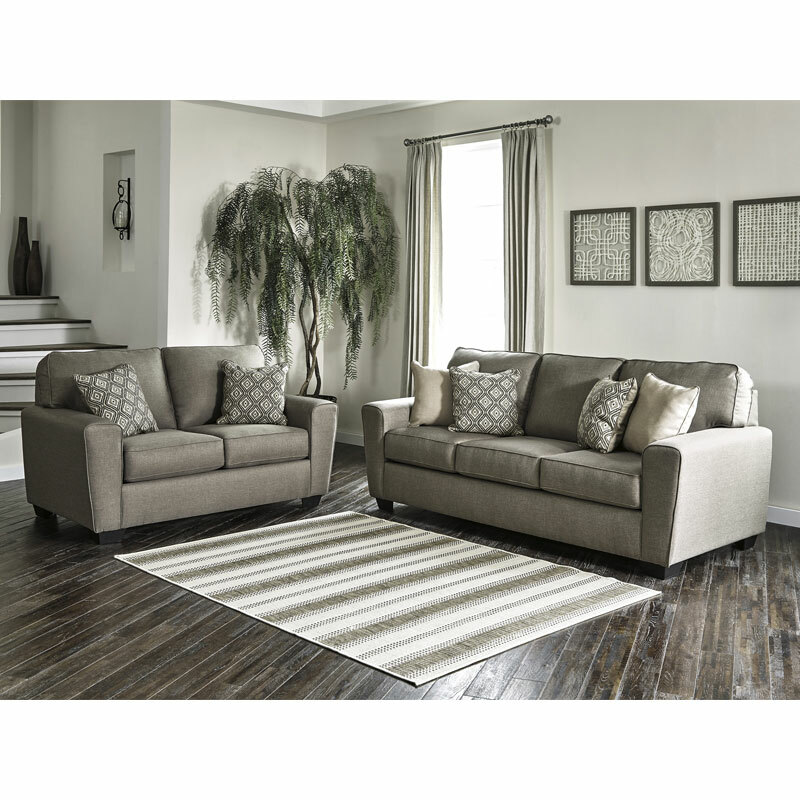 You've got a friend to lean on with the Calicho sofa & loveseat. Covered in a sleek, woven upholstery, it has a relaxed contemporary vibe. Sit back and lean into wide tapered arms. Ikat pattern elevates the look of brown and cream accent pillows.